Mermaids will make a splash at the big game when BON & VIV Spiked Seltzer invites consumers to dive into its new take on the original hard seltzer. Anheuser-Busch, the parent company of BON & VIV Spiked Seltzer and an official sponsor of Super Bowl LIII, will make history as it airs a 30-second BON & VIV Spiked Seltzer spot, marking the first time any FMB brand has ever advertised in the game. BON & VIV Spiked Seltzer, whose name is derived from the French phrase 'Bon Vivant', will make its debut with a catchy ad titled "The Pitch," created by the agency Bullish. Follow the fins to an underwater world where two mermaid entrepreneurs, Bonnie and Vivian, pitch their too good to be true idea of BON & VIV Spiked Seltzer, with 0 grams of sugar and great taste, to potential investors – sharks. 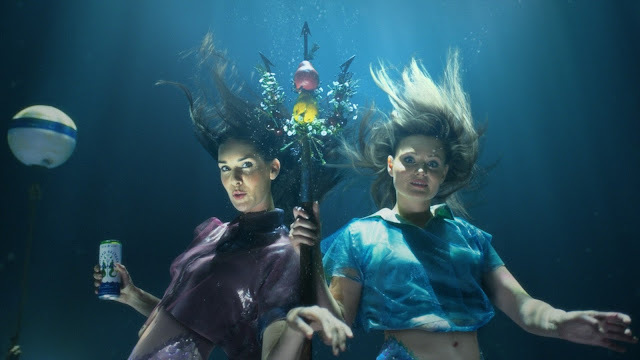 To make this underwater world come to life, BON & VIV Spiked Seltzer worked with Dan Laustsen, award winning director of photography known for his work on The Shape of Water, John Wick: Chapter 2 and Crimson Peak. The ad will air shortly after Bonnie and Vivian's favorite part of the game – the coin toss (go tails!) – in the first quarter. "We're thrilled to bring BON & VIV Spiked Seltzer and its mythical founders, Bonnie and Vivian, to the big stage as we introduce the world to the next chapter of the original hard seltzer's story," said Chelsea Phillips, VP of Beyond Beer Brands at Anheuser-Busch. "We believe BON & VIV Spiked Seltzer is even better than it was before with less sugar, while still delivering on taste, and new botanical flavor variants." Fans can catch "The Pitch" on BON & VIV Spiked Seltzer's YouTube page. For more information, visit bonandvivspikedseltzer.com and follow @BONandVIVSpikedSeltzer on Instagram.